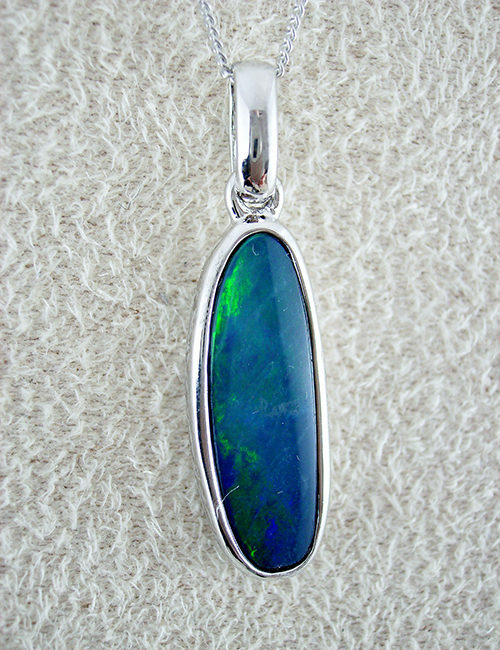 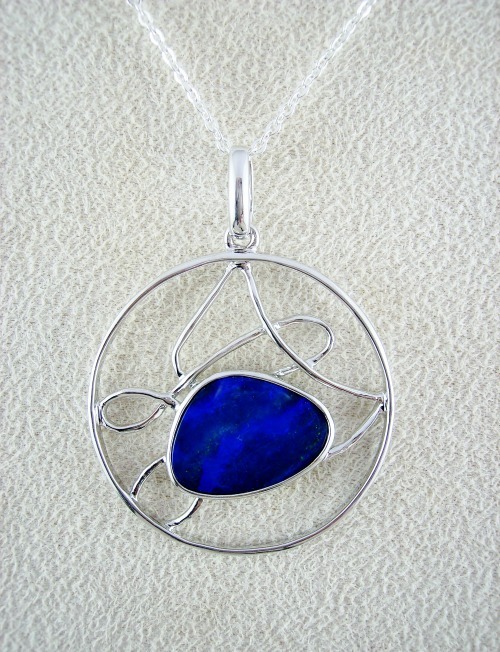 This pendant features one of our latest distinctive designs with brightly coloured doublet opal in highly polished hammered sterling silver. 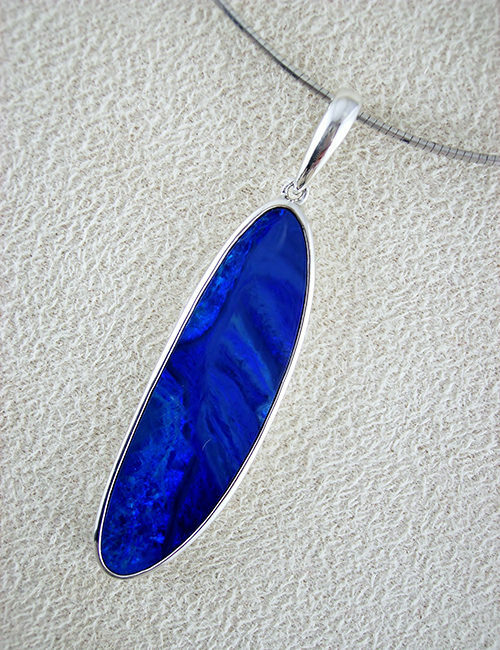 The circle frame pendant has a deep yet bright electric blue toned opal, with the pendant measuring 45mm in entire length and 35mm diameter. 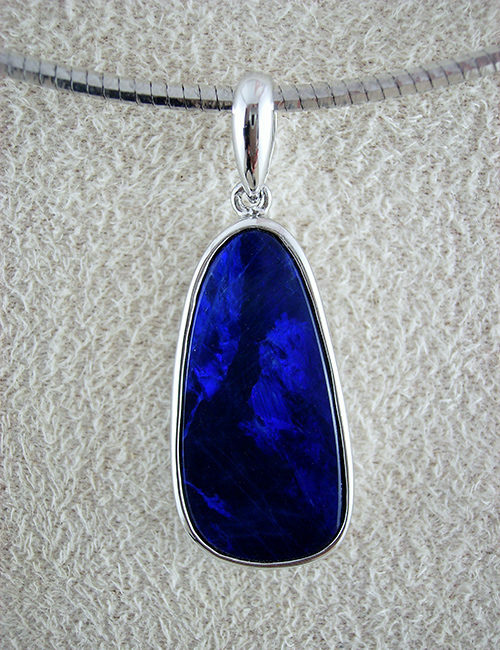 As with all our silver settings, the sterling silver has an anti tarnish finish, just adding to the quality and wearability of the piece.